Aquatic Safety Research Group offers a wide variety of lectures and presentations which can be custom tailored to meet the needs of your particular audience. We believe we can address just about every water safety concern you may have. If you have a specific topic which you need addressed, contact us to see how we can develop a program to help meet your needs! After 35 years of teaching, coaching and acquiring advanced degrees from three major Universities, Tom Griffiths, Ed.D. looks forward to sharing with other professionals what he learned from his mentors, teachers, students and athletes. Unlike other “warm and fuzzy” motivational that sound good but offer few realistic and practical strategies, Dr. Tom provides practical and achievable steps that will assist you being a more productive person and professional. From organizing your day to focusing on what is most important, including what to read and how to act in the workplace, Dr. Tom can help through his own past failures and successes. Listen to the professional who has produced four DVDs, published six textbooks, written more than 300 articles and have developed numerous water safety products. Sit back, relax and listen how to an Apple Farmer in New Jersey, who did not know how to swim, taught Tom Griffiths everything he needed to know about Aquatic Risk Management. Starting his aquatic career as a paperboy, picking up papers on a beach for $0.25 hour, little Tommy was valuably mentored by Lifeguards and Managers who took the time to point him in the right directions. Reminisce with Tom about how water safety used to be and how we can learn from the past. Sadly, Laurel Lake where Tommy learned his trade in the 1960's succumbed to urban sprawl in the 1980's. Learn how to save and renovate our aquatic facilities. This presentation will convince you that you too can make a difference in the lives of others. 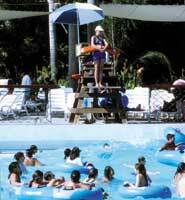 Properly trained and supervised lifeguards prevent accidents and save lives. But even the best lifeguards can fail, and in seconds a life can be lost. Defending lifeguard actions when a young child drowns in a crystal clear swimming pool has been challenging. But now we know that Body Blindness and other factors contribute to why lifeguards fail to see the obvious. If you manage lifeguards, this is a session you don't want to miss. Malsow's Hierarchy of Needs, Flow Theory, Circadian Rhythms, The Law of Association, and the Inverted "U" all help to explain how to motivate young lifeguards and keep them on task. No, you have not heard this before. This is vital material not found in water safety texts. A simple yet effective surveillance system that will improve the effectiveness of lifeguards on duty. Research based and field tested with thousands of lifeguards, this system improves the attention and concentration while reducing boredom of lifeguards on duty. The technique calls for a significant change in posture, position and eye pattern every five minutes along with a safety check every five minutes while on duty. The presentation is supplemented with DVD and has led to the development of a whole new type of lifeguard stations. Beach safety is a complex topic, but with these seven tips, you'll be off to a great start! Whether you manage a pond, river, lake or ocean this lecture is meant for you. Both guarded and unguarded beaches will benefit from these practical and affordable risk management strategies that really work and are specifically intended for open-water areas. Aquatic Risk Management can be a comprehensive and burdensome task. Often, when too much time is spent on a variety of risk management issues, the biggest concerns and risks are overlooked. This presentation specifically addresses seven of your worst nightmares in aquatic facilities today. While each of the seven may not be deadly, they can kill an aquatic program with poor Public Relations. Cloudy Water??? Green Water??? Smelly Water??? Not to worry, this presentation attempts to aid attendees in quickly and easily identifying the most common pool and spa problems that face our industry. By using one’s senses, attendees will be taught how to find the cause of each of the problems listed and then how to correct them. The presentation is a rapid fire trouble shooting guide for those who wish to become better pool operators and managers without taking a two-day course. Chemistry, filtration and circulation are all covered in this talk that proves to be highly informative and entertaining. This presentation encourages the "MBWA" approach to Aquatic Management and Supervision, that is Management by Walking Around. With the help of simple "walkabouts" and management checks every 30 minutes, you can significantly improve the safety and enjoyment of your aquatic facilities. A significant increase in "shallow water blackout" deaths appears to be occurring in pools around the world. Shallow water blackout combines hyperventilation with competitive, repetitive breath-holding and/or underwater swimming. 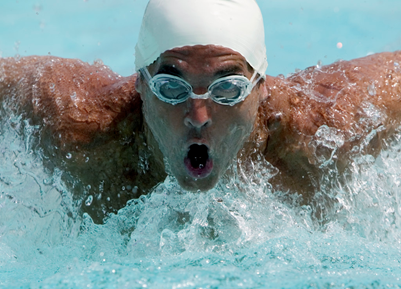 Shallow water blackout most often occurs to the best athletes and high achievers, making this dangerous activity difficult to detect and prevent. Military swimmers often succumb to this shocking and sudden death. Victims often die due to seizures and cardiac arrest, not just simple drowning. Learn the vitally important psychological and physiological causes of shallow water blackout and how to prevent it in your pool. Aquatic Risk Management can be an cumbersome and comprehensive task. Simplify your safety audits and consider these Top 10 Safety issues first. Both new ideas in aquatic safety as well as the old standbys will be discussed, helping you to significantly reduce the number of accidents at your facility. Most court cases settle before trial and the underlying facts and circumstances are rarely shared with aquatic professionals. Revealing the actual facts provides extremely valuable insights for running safer aquatic facilities and avoiding, as well as defending, lawsuits. These surprising verdicts and settlements will underscore the importance of safety at all aquatic venues. A unique and creative look at Risk Management through the use of the game of baseball. Cover all the bases of Risk Management through the use of this entertaining model that alternates between very sophisticated models and very practical models of Risk Management. Participating in this presentation will allow you to score lots of runs and maybe a grand slam in the game of Risk Management.